Beginning with this sentence, the titular piece fails to engage on any level, unless you’re a particular fan of self-reference and recursion. The piece is typographically conventional, with only mild deViaTions from form or convention which (just like this parenthetical comment) arguably contribute little to its overall thrust. The second paragraph opens with what initially seems to be the first gag all over again — and indeed this passage proves it to be the case. It does, however, act as a pretty good model for correct punctuation; this sentence and the last includes the following marks: a colon, a few legitimate commas, a semicolon, an em-dash and an unnecessary hyphen. The review originally intended a much larger scope. 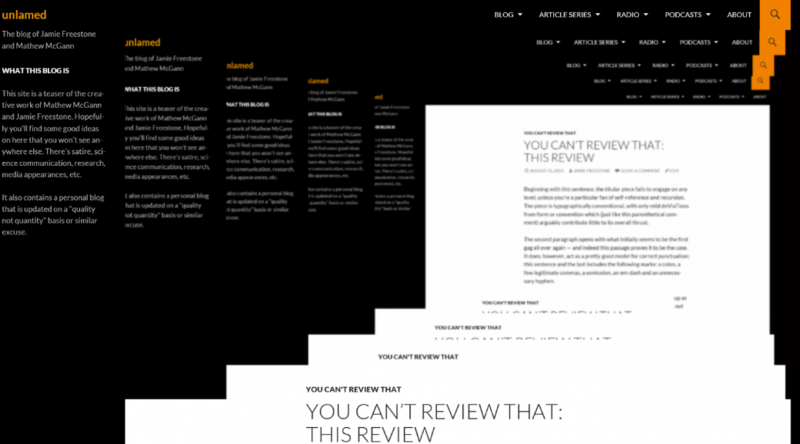 It was set-up as a review to review all reviews (and only those reviews) that do not review themselves. Unfortunately, this obviously leads to something approaching Russell’s paradox, as it then becomes unclear as to whether this review violates the very premise it operates under, right in the middle of the review, merely by either following or not following that selfsame premise. If it did review itself it would not fit into that category, yet if it didn’t it would need to be put back into it. Ultimately, this piece fails to resolve this rather donnish piece of intellectual frippery, but does waste one hundred and eighteen words discussing it. The closing simile makes about as much sense as a simile comparing something to itself, and the awkward rhetorical question following it seems redundant. Does it not? Most of the words used here are short, sharp and one beat long — they don’t seem to have much flair, much like this last word, which is just made up of two es and a tee. Saved by its interest to fans of Douglas Hofstadter, it gets however many stars it says it does and is also notable for its meta-structure of having a beginning, middle and an end marked by the words beginning, middle and end.